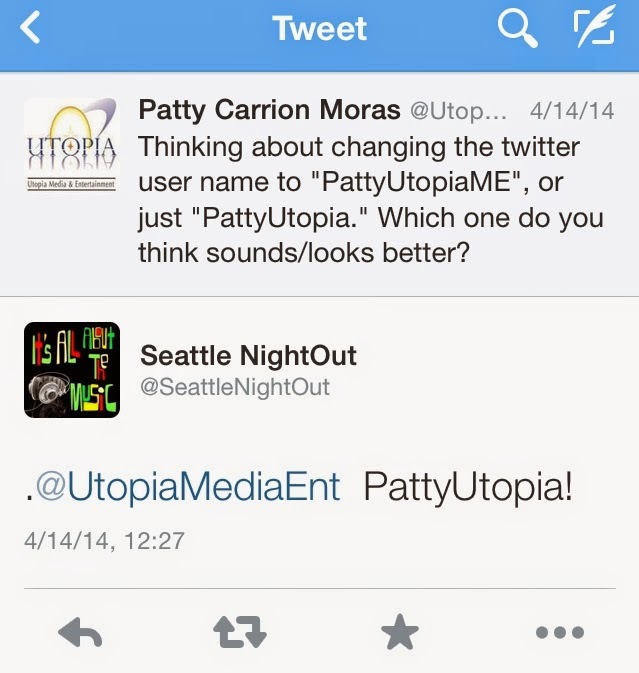 Patty's Utopia: Renaming My Baby. Well... Not exactly "A baby", but it certainly feels that way. I started playing with Twitter on September 5th of 2009, and I almost immediately fell in love with it. After being on Twitter for not too long, I realized the importance of opening an account for my business, and so I did. I had a very hard time coming up with a name that could fit in 14 characters; that's why I made the decision to cut the end of my company's name. Instead of "Entertainment," it was going to be "Ent." 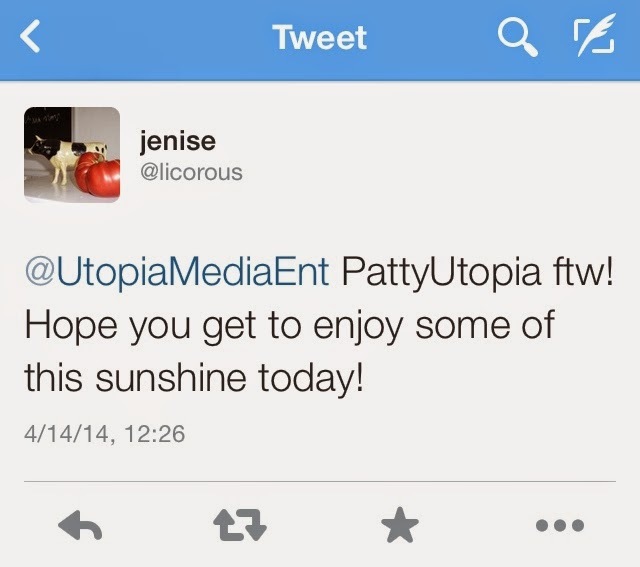 It was decided, the not so perfect name for my business' Twitter account ended up being: @UtopiaMediaEnt. Now, that I think of it, it was a pretty silly decision, but I didn't know better back then. After fiver years, and with all the changes around social media, I came to realize that it was probably time to give this account a little make over. My thoughts were confirmed when my friend Jess Estrada, one of the biggest social media influencers in Seattle, also suggested me to change it. But, to take that step was, surprisingly, one of the hardest things I have done in my life. I have been interacting with so many friends for so long with this username, that this change made me feel a little... uneasy. Maybe I am overreacting a little but, seriously, the process of choosing the right name took me some time. I still wanted to keep my company's name related to my username. Why? Because I have helped my community through my business a lot. My business has become part of my identity too, but I also thought that it had to reflect the fact that it is I, Patty, talking to my followers/tweeps/twitter friends. Finally, after waiting a few days (almost two weeks), I decided to grow up, and take that final step. Now, let me introduce you to my new username on Twitter. 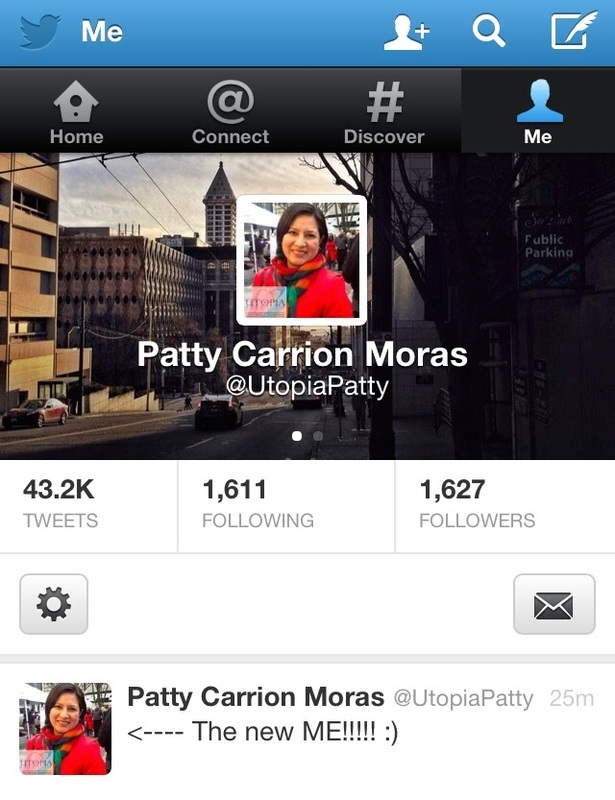 I am now: @UtopiaPatty.